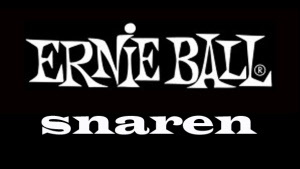 Ernie Ball Slinky Acoustics are made of an exclusive phosphor bronze wire. Designed to meet the requirements of acoustic guitar players from all over the world. Slinky Acoustics are used by The Edge, and guitarists from The Counting Crows and Maroon 5. 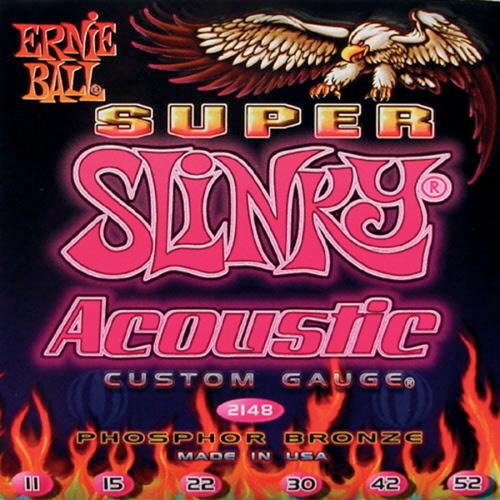 Ernie Slinky Acoustics string set for acoustic guitars. Material: phosphor bronze. Version: Extra Slinky. Sizes: 010-014-020-028-040-050. Now from € 10,95 for only € 9,75. 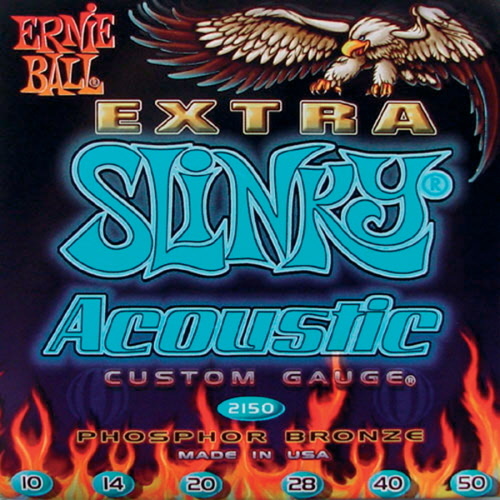 Ernie Slinky Acoustics string set for acoustic guitars. Material: phosphor bronze. Version: Super Slinky. Sizes: 011-015-022-030-042-052. Now from € 10,95 for only € 9,75. 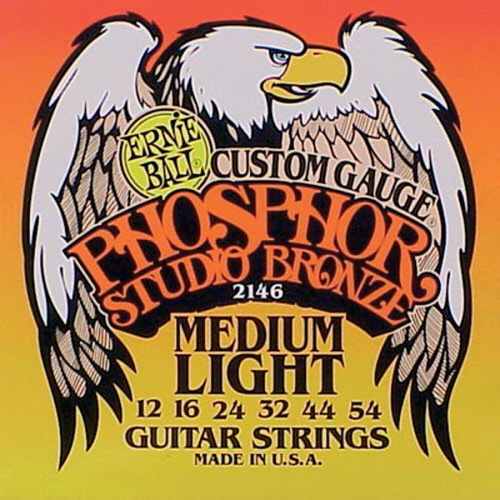 Ernie Slinky Acoustics string set for acoustic guitars. Material: phosphor bronze. Version: Regular Slinky. Sizes: 012-016-024-032-044-054. Now from € 10,95 for only € 9,75.